It is often said that more than half of all Bostonians have met Mayor Tom Menino personally. I don’t think that’s true at all. The number has to be much, much greater. It seems as if the Mayor attends every community event, potluck dinner, school play, soccer game, and – during this time of year – every Christmas tree lighting. In every corner of the city, we know Mayor Menino will be there for us in our greatest moments of triumph – ribbon cuttings for new buildings and parks, World Series victories, a new Bostonian’s citizenship, a child’s graduation. And we know he will be there for us in our moments of great tragedy – the death of a loved one, or terror in Copley Square. Looking back at his 20 years in office, it is clear Mayor Menino will be remembered as one of the greatest leaders in the history of Boston. In the almost 400 years since Boston was founded, a history that is filled with names known across this country – Winthrop, Adams, Lowell, Lodge – few have done more for Boston than our Mayor. From the waterfront and innovation district to Dudley Square and Roxbury, Mayor Menino has led the resurgence of our neighborhoods, expanded parks and livable spaces, and created a city whose innovative potential is unbounded. With firm convictions, he cautioned against predatory lenders, starting the “Don’t Borrow Trouble” campaign long before the 2008 financial crisis. With political will and courage, he has improved education for all our kids – creating full day kindergarten and making Boston schools some of the best in the country. With foresight of the next frontiers, he has fought for hospitals and scientific research, giving Boston the world’s leading health care institutions. And with fierce moral clarity, he has stood firmly for equality – equal opportunity for immigrants, equal rights and equal marriage for the LGBT community, equal pay for women. 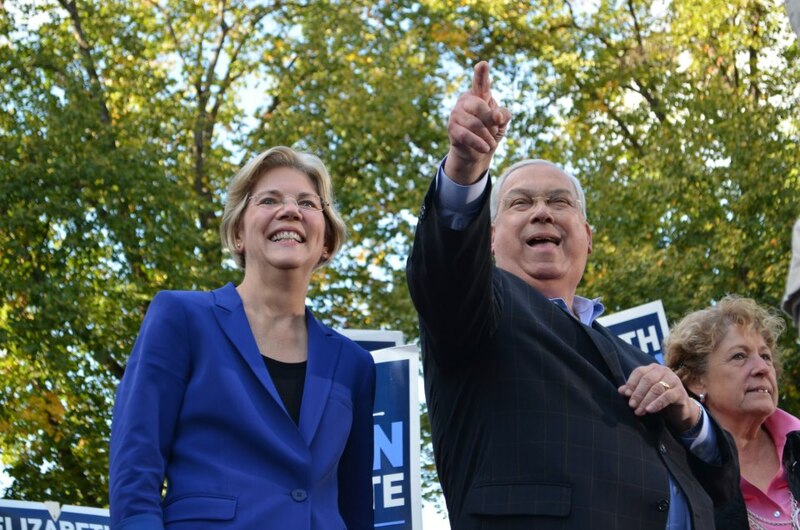 Please join me in thanking Mayor Menino today – his 71st birthday – for his hard work, his service, and his dedication to making Boston a better place. For 20 years, Mayor Menino has made Boston into a city that all eyes can see is a model for the country and for the world. And he has succeeded because he knew all along that our fortunes depend on our work together – as one people, as one community, as one Boston. On behalf of a grateful people, Mayor Tom Menino, thank you (and happy birthday! ).